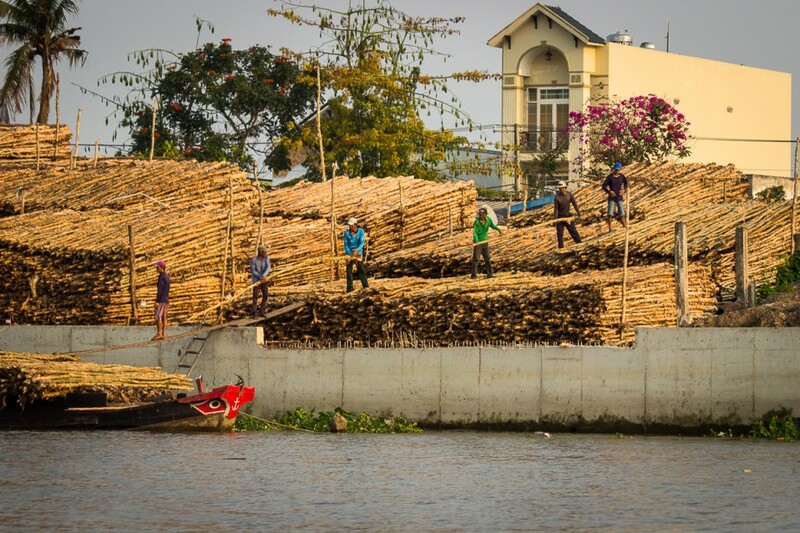 Workers loading bamboo onto a ship in the Mekong Delta. As almost everywhere else in the world, in Vietnam goods are increasingly being transported by trucks. 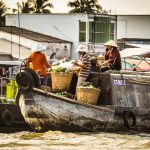 In the Mekong Delta, transport by ship is still of particular importance.